Twitter feeds are scratching their collective hashtags trying to figure out how Brexit happened. Everyone lives in a social media cocoon today, without alternative viewpoints breaking through for them to contemplate. The reverse is also true: Social Media amplification is powerful and if you can move people to the ballot box, you can make a big dent. Obama taught this lesson to the world when he ran the first effective social media political campaign of the disaffected in 2008. The world is quickly breaking down into Progressives and Culturalists. The progressives see the world as flat, equal, all the same, connected, global, multi-cultural and peaceful. The Culturalists want to preserve the culture they grew up with and associate with. They think that there are differences between people; there are still threats in the world, tradition matters and religion (for the most part) as well. What we should worry about is the stark differences between these two camps. As nuance has disappeared, so has the understanding between people whose base identity is either global or cultural. It is rare to find people who can accommodate both identities. As progressives gained the upper hand on the cultural agenda and Obama rammed it down people’s throats, the Culturalists have revolted, and rightly so. People are hurting economically and empathy for them has disappeared. The Progressive agenda has all day for Gay Marriage and Muslim Refugees while showing no empathy for those who are being left behind economically by the technology revolution and socially by multi-culturalism. In fact, most in the progressive elite blame the white poor for being poor. When the ruling ELITES lose empathy, the masses move to extremism. This is Donald Trump and Brexit. 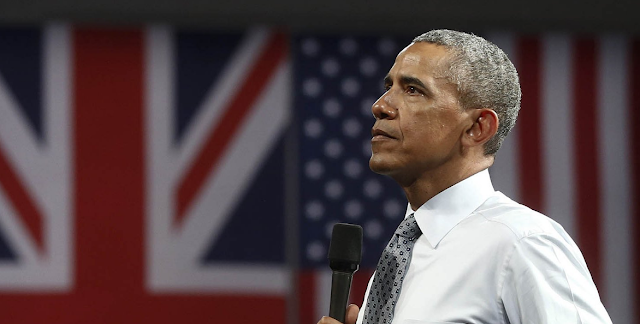 It is not an accident that the age of Obama gave birth both to Donald Trump and Brexit. Take note that during the 8 years of Obama’s presidency, Russia and China have risen and become more militarily aggressive; Turkey has radicalized, Syria has collapsed, The Arab Spring turned into a nuclear winter and Radical Islam is ascendant. This is not an accident. It is due to a bad reading of the global map and a loss of empathy. The world needed real leadership, not shattering some cultural taboos. Instead we got Terrorists in Paris and Nukes in Iran. At least we have Airbnb in Cuba. Hope the "Free Stuff" was worth it, because we need to buckle up. It's going to be a bumpy ride.